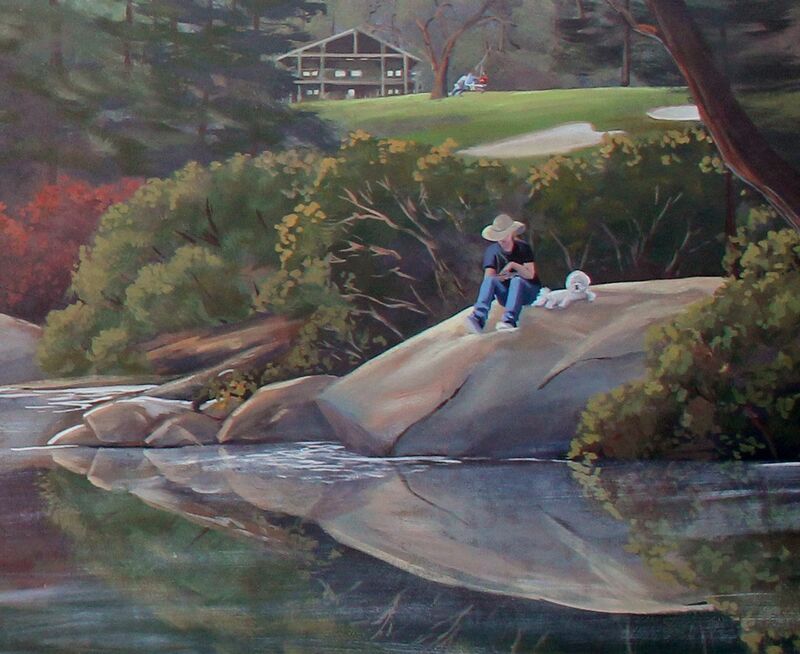 This peaceful river scene is a collage of the clients’ favorite places, tied together into one cohesive image. 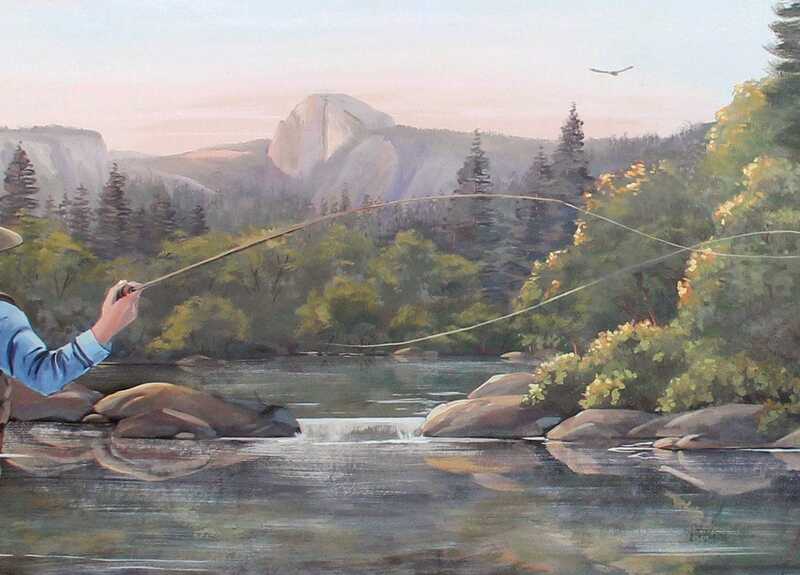 That’s my client, Don, fly fishing on the McCloud river. His wife, Nancy , is creating a needlepoint creation on the riverbank for one of their many grandchildren; their dog, Moxie, is by her side. 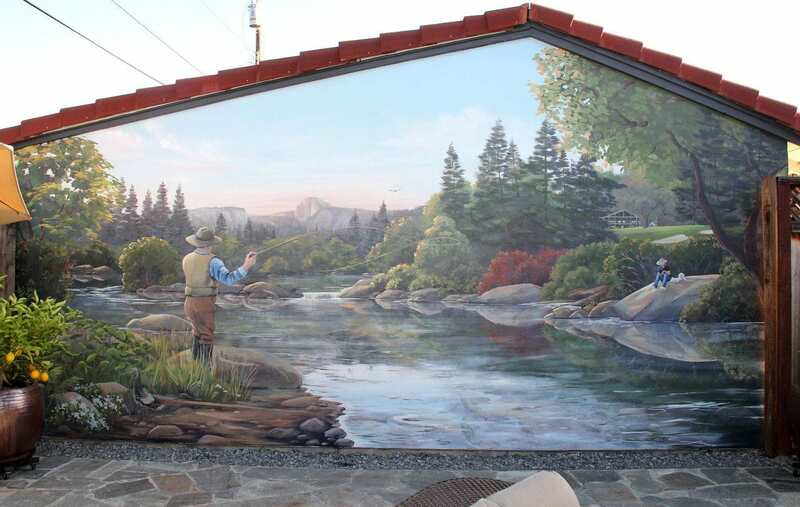 They have a beautiful view of Half Dome, their family vacation home, and a golf course tucked into the scene. 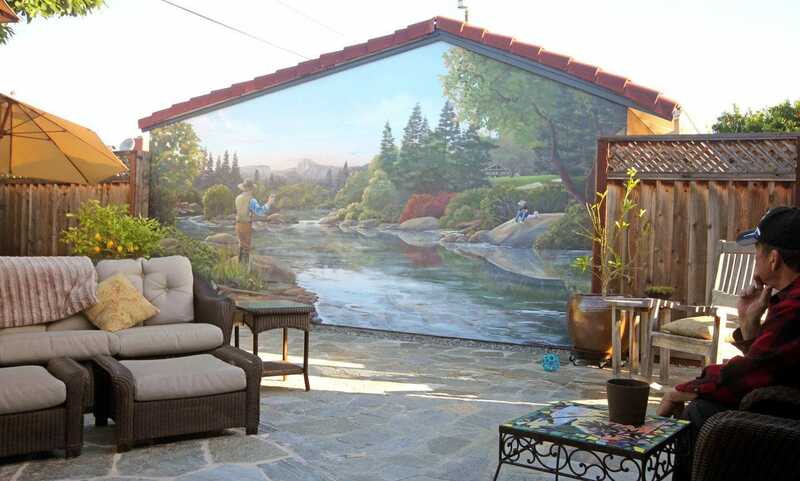 This wall can be seen from several rooms in the house, and it creates a peaceful backdrop to the patio seating.